If part of your public relations strategy is to tell better stories and you haven’t incorporated Snapchat, here are good reasons to consider it. First of all, as most PRs know, Snapchat has outgrown its rep as a niche photo-messaging service. It’s an established social media entity valued at over $16 billion and with over 100 million users. But before you plunge into the land of lenses and geo-filters (fun ways to augment your Snapchat picture or video) consider some ground rules. If you’re thinking the medium is best suited to advertising, think again. Snapchat can build two-way conversations and quick interviews with experts and influencers. One popular series of snaps is Complex journo Sean Evans’ “First We Feast” interviews with celebrities as they enjoy very spicy food. The concept lends itself perfectly to Snapchat’s visually fun format, and viewers learn something about the “hottest” stars while they’re at it. Another thing to bear in mind is that Snapchat isn’t just for kids anymore. Although eMarketer reported that 45% of all Snapchat users in the U.S. are between the ages of 18 and 24, and comScore found that 60% of U.S. smartphone users ages 13 to 24 use Snapchat, The Wall Street Journal reported last month that 14 percent of U.S. smartphone users over age 35 now are on Snapchat – a pretty desirable group. 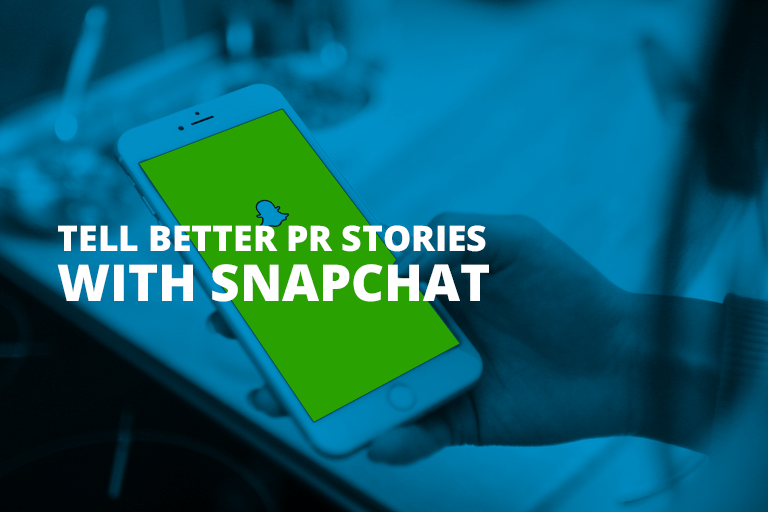 Here are a few winning ways to use Snapchat to add value to public relations programs. Create explainers. Whether it’s a tutorial on self-driving cars or how to understand whatever it was that happened at the Oscars this week, an explainer video works perfectly with Snapchat’s fast-paced, visual nature. Use the medium to unpack an industry issue or break down important facts into a series of images overlaid with Snapchat captions offering context. Ask – and answer – questions. Snapchat is all about quick and easy engagement, and questions are always a provocative way to start a conversation. The question could be tied to a product or service, or it can focus on something cool about your brand history or culture. In a twist on posing questions to its followers, online clothing company Everlane launched a weekly series on Snapchat called “Transparency Tuesdays,” a Q&A session where followers ask the founders any question they want about the company. 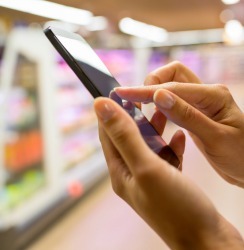 This Forbes piece details how well the strategy is working with customers. Offer exclusive access. Another smart way to build a Snapchat following is to offer something that can’t be found on other platforms. Make your Snapchat viewers feel “behind the velvet ropes” with exclusive reveals of upcoming new projects. Examples include what Taco Bell has done for new products like Spicy Chicken Cool Ranch Doritos Locos Tacos and every lip gloss introduced by Kylie Jenner. Conduct quick surveys. PR loves surveys, and Snapchat, with its excellent audience interaction, makes it an ideal medium for non-scientific polling. Ask viewers to comment or send a snap that shows how they’re feeling about a particular topic. Another cool function – on Snapchat you can see who’s taking screenshots of your content, and brands can even ask posters to screenshot what they like from a series of snaps. Let the platform help you connect with followers and find out what sort of content resonates most. Take product how-tos to the next level. Put a twist on the traditional product demo with a series of how-to snaps. Although most people associate Snapchat product demos with makeup, there are many other products that work well on the platform. Just make sure to keep snaps entertaining, easy to follow, and full of tips that will help customers make the most of your product. Here’s some impressive cooking lessons via Snapchat as well as how to hygge, the cozy Danish way to winter. There are tasteful product mentions incorporated, but the videos do more to instruct than sell. Let a brand loyalist take over. Invite an influencer to run your Snapchat for a designated period of time. These work best with a quirky personality, a brand ambassador, product partner or just a terrific follower whose snaps have drawn notice. We like this example from Dunkin’ Donuts on National Donut Day. Dunkin’ recruited national brand ambassadors and micro-influencers to snap moments from their day, adding geo-filters and sharing and growing the exposure. Share your world with your audience. One of the best ways Snapchat can bring a brand personality to life is with a behind-the-scenes tour. Tap a team to create personal journeys like this one GE did inside a volcano. But the tour needn’t be other-worldly to get attention; even corporate headquarters can be intriguing if you’re visiting Uber. And, even if you’re not, there are ways to make office work or any Snapchat video more creative and fun. Here are some bonus tips to keep your Snapchat Stories lively and your content shareable. Let your imagination go wild. With its use of stickers and filters and other creative tools, Snapchat is considered most useful for B2C marketers. We challenge those in B2B PR to play around with Snapchat add-ons to help make a potentially stodgy story more palatable to any audience. While jokes, ironic hashtags and puns might not work for other channels, they thrive on Snapchat, and the more conversational or humorous tone may work well for B2B tech companies. Use classic storytelling technique with a beginning, middle and end. In a social world that’s dominated by selfies, animal videos and countless pictures of food and drink, an actual story that conveys an authentic narrative has a strong chance of standing out. Adding interesting visual layers to your story can pique viewers’ curiosity and keep them watching to the end.